The Rams were able to produce another sweep, this time against Concord with wins of 3-0 and 11-4, thus improving their record to (25-11) and (16-6) against Mountain East Conference opponents. Shepherd started off their Meet the Rams Day with a 3-0 win as senior starting pitcher Kaitlin Munda was a dominate force on the mound. Munda pitched a complete game against The Mountain Lions allowing just five hits including seven strikeouts. With the win in the early game, it brought her season record to (7-4). 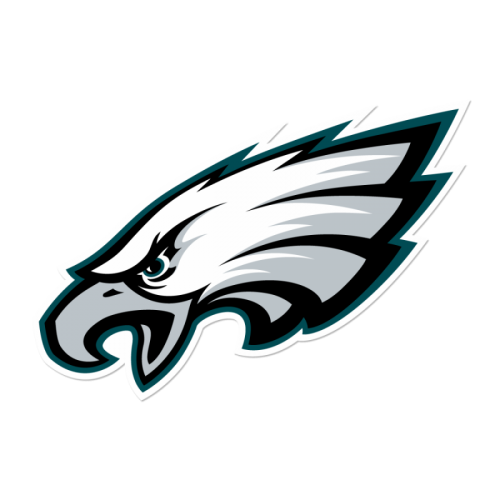 With the Ram defense and Munda being at the top of their game in front of the home fans, it was up to the bats of the Rams’ hitters to hold up their end. 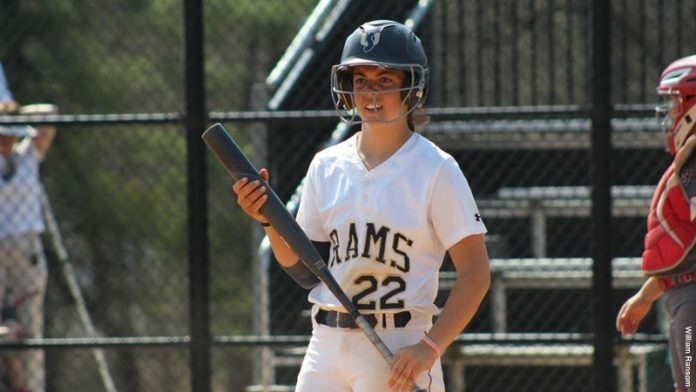 Rams junior pitcher Lori Sturgill, who batted in the designated hitter slot, got the scoring started in the bottom of the second inning with an RBI triple to left field that allowed freshman Leann Brown to make it home from first base. Shepherd could not get any more offense going in the inning, and the score remained at 1-0 until the bottom of the fourth. With two outs already in the inning, junior center fielder Kaitlin Konopka was the catalyst for the Rams final two runs as she doubled to left field, sending home teammates Munda and junior left fielder Alexis Shearer. The three runs proved to be enough as Munda and the defense had firm control of the game. Konopka led the way for the Rams in the batting department with three hits, two RBI on four at bats. Mountain Lion pitcher Rachel Pritchard picked up the loss and her 11th on the season. In the late game of Meet the Rams Day, the theme of shutdown pitching continued after a rocky opening inning by sophomore starter Taylor Stocks. The Concord offense came out swinging to the tune of four runs, which seemed to rattle the pitcher, prompting a pitching change. After those four runs off Stocks, the Mountain Lions went scoreless the rest of the way when facing relief pitcher Cheyenne Van Pelt who with the win improved to (6-0) for the season. 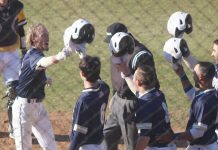 Despite going down 4-0 early, the Rams offense responded in the second and third innings with two four-run bursts. The second inning spurt was keyed by a two RBI single by junior third basemen Rachel Taylor that saw Konopka and Van Pelt score. 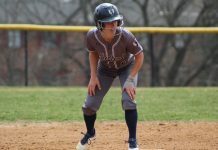 Junior first basemen Connor Gilligan and senior left fielder Jessica Robinson also added runs in the second as the teams were tied for a brief period. The tie lasted until the next Ram at bat where they opened a four-run lead in the bottom of the third inning and never looked back. This time it was a pair of two RBI hits by Robinson and Konopka that secured the Ram lead for good. Robinson’s right field single scored teammates Gilligan and Sturgill, and Konopka’s double off Concord pitcher Darby Fitzpatrick scored Robinson and junior pinch runner in place of Molly Staley, Ariana Ramirez. Ram scoring did not end there despite taking a decisive lead as they added three additional runs for good measure in the fourth and fifth innings. RBI singles were a continued theme of the day with junior catcher Molly Staley, Rachel Taylor and Leann Brown each brought a run home to set on the eventual final score of 11-4. 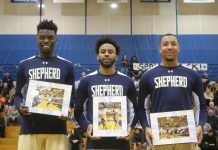 The Rams will now look forward to their next opponents, Lock Haven University as they will welcome them to Shepherd and Sara Cree field on Tuesday, April 17, starting at 2:30 p.m.